Our flagship conference is coming back bigger and better for 2016. So without further ado let us take you through the reasons why you should join us on 12th October. Fancy coming along? Find out more and register here! Yes, that’s right. A conference that’s tailored specifically to you and helping you boss your job. This isn’t one of those jack-of-all-trade conferences that covers everything and anything: we’re keeping things strictly focused on learning about personalising the customer journey to boost retention and lifetime value. Simples. 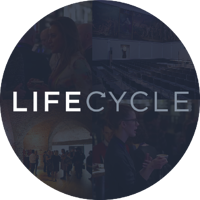 Come to Lifecycle and you’ll benefit from the expertise of some of the most innovative brands in the market. Marketers from ghd, Love Honey, Finery, Luxdeco and many more are all talking and the headline speakers are still to be announced. You can’t miss this! Ever been to a conference, been totally inspired and then… oh wait the things they talked about are impossible to implement? Well that’s not the case here. We’ll provide you with the tools and the knowledge to go out and put everything into action yourself. You’ll get the chance to network with hundreds of industry peers and thought leaders. In the afternoon we’ll be running specific sessions and networking drinks to let you to talk to as many people as possible to help you solve your problems. So far, we're welcoming attendees from: Kurt Geiger, Chanel, House of Fraser, Cath Kidston, Jack Wills, Charlotte Olympia and many more! Conferences are best experienced with other smart people. If you refer a friend from another retailer, we’ll give you a free ticket. Nice. Did we mention that we’re holding the event at the stunning RSA house? The same RSA house that have hosted thought leaders for over 260 years. On top of that we’ll be serving food from award caterers. Really, you can’t miss this.